Chinese metro rolling stock manufacturer CRRC Nanjing Puzhen Co. Ltd will invest Rs 400 cr in Dholera to set up a manufacturing facility. 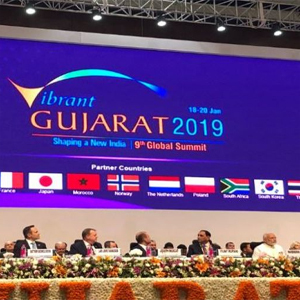 An MOU to that effect was signed between Dholera Industrial City Development Limited (DICDL) and the CRRC Nanjing Puzhen Co. Ltd during the Vibrant Gujarat 2019 summit in Gandhinagar on Friday. DICDL had been in discussion with CRRC Nanjing Puzhen Co. Ltd to understand and assess the business of manufacturing of Metro Rolling Stocks that it manufacturing of Metro Rolling Stocks that it manufactures. DICDL and CRRC will work together to identify the availability of land in Dholera SIR for construction and erection facility of CRRC Rolling Stone manufacturing plant related to metro and the association may also be extendable to other allied manufacturing facilities in future, it was announced. The new facility promises to generate employment for 450 people.